17th-century Spanish marbled calf over wood, spine with 5 raised bands and leather label. 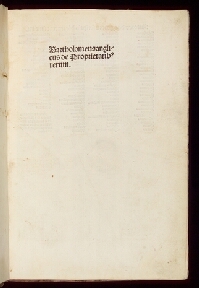 199 leaves (of 200), wanting the final blank; spaces for initials with guide letters; running titles. Bookplate with a motto BEATUS HOMO QUEM TU ERUDIERIS DOMINE.